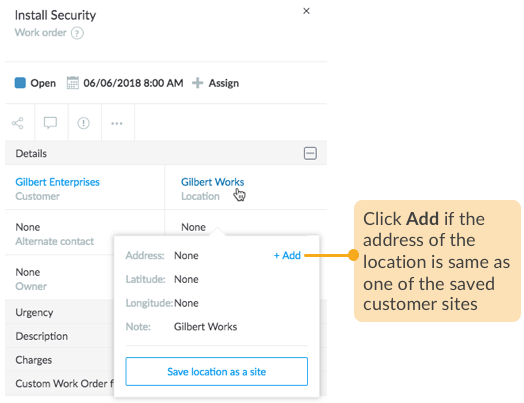 Once a job is created, you can save a one-off location, which is just a typed in text and doesn't have any valid address associated with it, as a customer site for reasons of reusing it later. 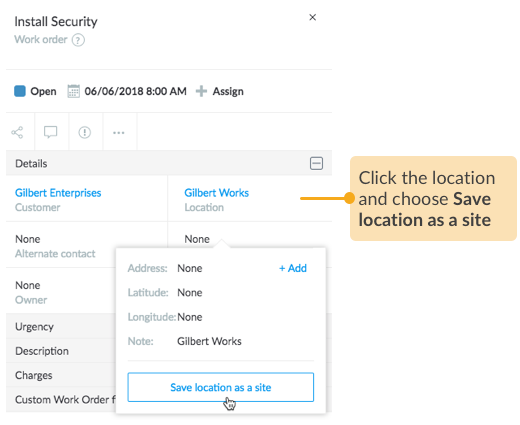 To save a location as a site, select the job in either List view or Map view. If the one-off location is in an address that's basically that of a site in Loc8, then you can simply select that site. When you do so, the text (Gilbert Works in the example below) will be replaced with that address. You will not loose the text, it will be available to you as a Note on the Location. 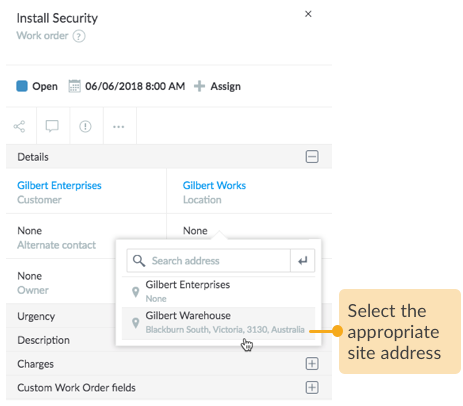 If the one-off location is an address that does not exist in Loc8 yet, you can make it a new site. On clicking Save location as a site, you will be taken to the site creation wizard. Just fill in the required details as you would do when creating a new site.